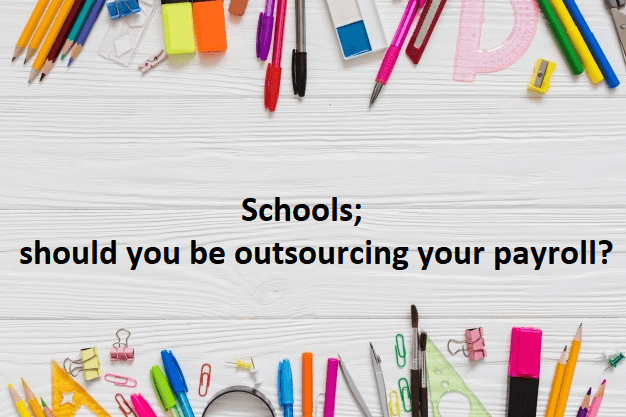 Are you a School thinking about outsourcing your payroll? Frustrated with paying the higher prices of outsourcing to your LEA. Looking for a better service for your biggest assets – your employees? Wanting to make improvements and avoid work duplication? Schools have always outsourced their payroll, although traditional outsourcing to their LEA, many are now taking advantage of outsourcing to expert advisers and reaping the rewards. Schools and Academies are enjoying price savings and reduced workload associated with payroll while improving the experience of their employees. Outsourcing to the right provider will reduce your payroll errors and associated employee dissatisfaction. With over 75% of a school’s budget being spent on staff salaries payroll errors can lead to wasted funds and damage staff morale. If you are already working inefficiently this will only get worse over time as legislation becomes more complex or your trust takes on new schools. Reduce the time spent on payroll internally to free up resources to support operational business activities. Working with a specialist payroll provider like CE Back Office allows you to spend time to standardise the process and remove work duplication. The biggest concern for schools in the risk of non-compliance. Despite the ever-changing legislation the support from a payroll specialist provider ensures you have peace of mind. Over-reliance on paper and manual systems means that too much time is spent on basic tasks and leaves your payroll at risk to human error. Keeping ahead of changing legislation is essential. But are you making the legislation work for your school? You will receive personal support so that we can get to understand your payroll and deal your specific requirements. Not every school is the same. Payroll has access to lots of data but are you making the most of it? Whether it be automating generation of reports such as monthly school pension reports for your LEA or generating bespoke reports for better management information. If you would like to find out more about the full managed payroll service CE Back Office provide then please get in touch. Telephone 01270 899112 or email admin@cebackoffice.co.uk .